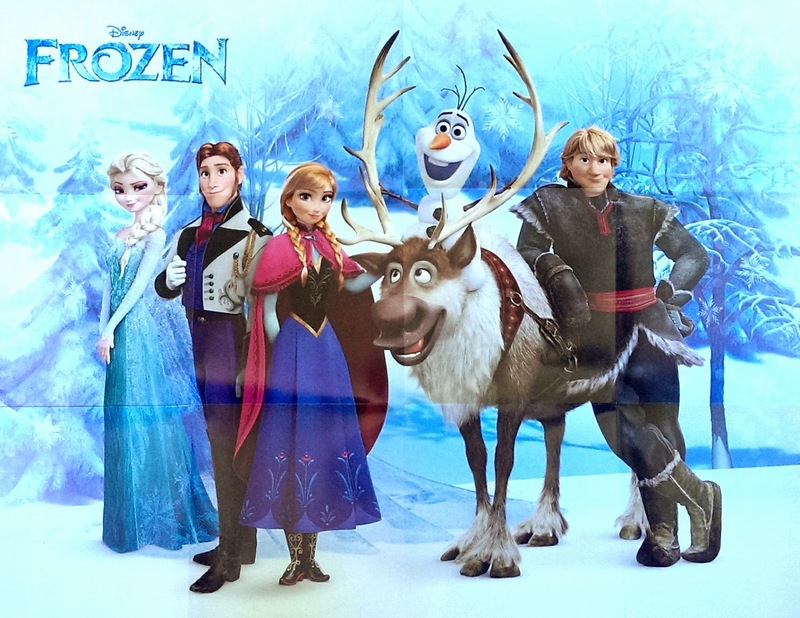 It has been almost a year since the movie was released, but Disney's Frozen shows no signs of stopping! It's the fifth highest grossing film of all time and the highest grossing animated film, earning more than $1.27 billion globally. Every household with kids under age 10 has seen the movie, and I'm sure that the most popular Halloween costumes this year are going to involve Anna, Elsa, Sven, Olaf, and Kristoff. 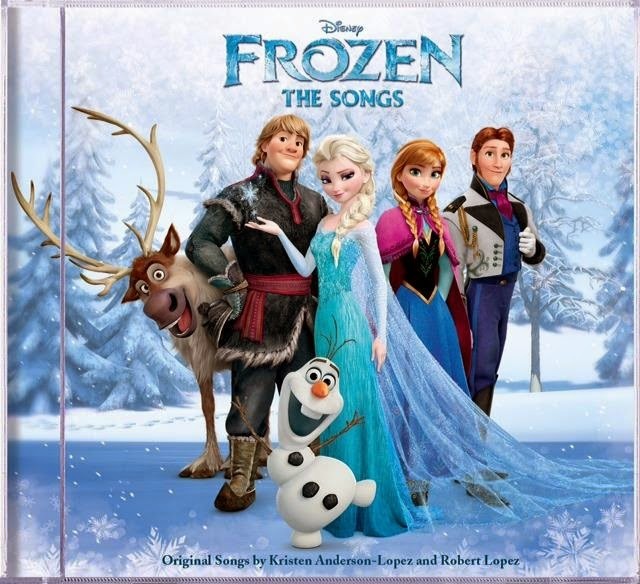 Frozen's soundtrack is just as successful as the movie -- it's the top-selling album of 2014 and spent 33 consecutive weeks in the top 5 on the Billboard 200 chart, including 13 consecutive weeks at No. 1. It is certified triple Platinum, selling more than 3.2 million units (over 6.2 million units worldwide!) and over 8.4 million tracks. We bought the soundtrack soon after we saw the movie, and it has played countless times since then -- well, mostly the songs, anyway. The soundtrack has quite a few instrumentals and demo versions that die hard music fans will love (my favorite is Coronation Day! ), even though the kids may never listen to those tracks. 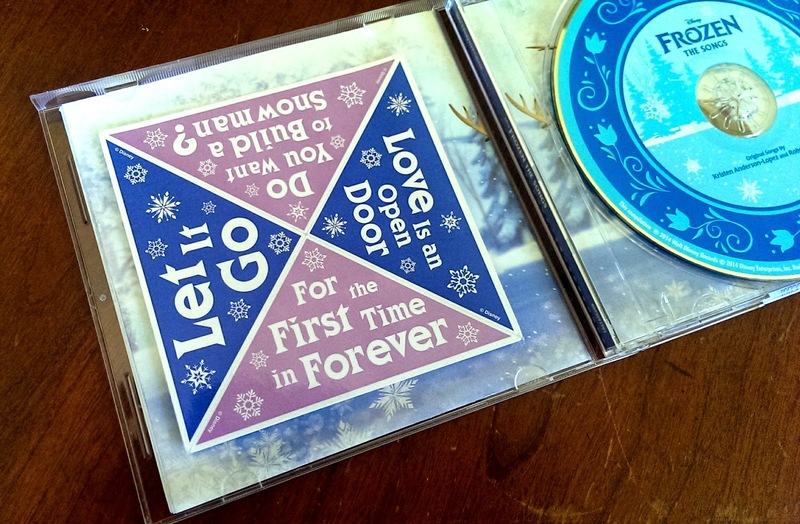 The CD includes a sticker sheet with 4 triangular stickers featuring 4 of Frozen's most popular catchphrases / song titles. If, for some inexplicable reason, you STILL don't know the lyrics to the songs, the CD includes a beautiful lyrics sheet. The lyrics sheet folds out to a 13"x18" sheet, and on the other side there is a great Frozen poster! 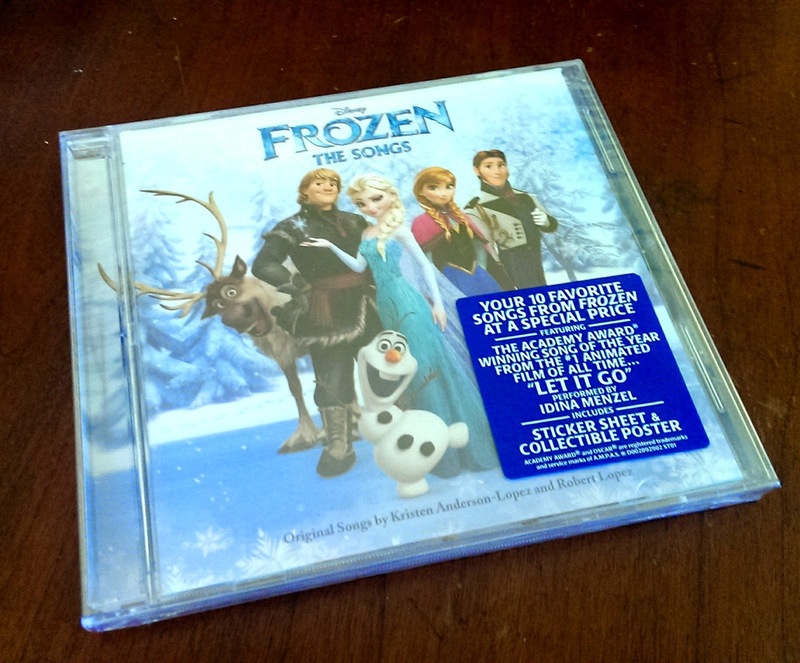 TWO lucky Bonggamom Finds readers will win a copy of Frozen: The Songs CD! 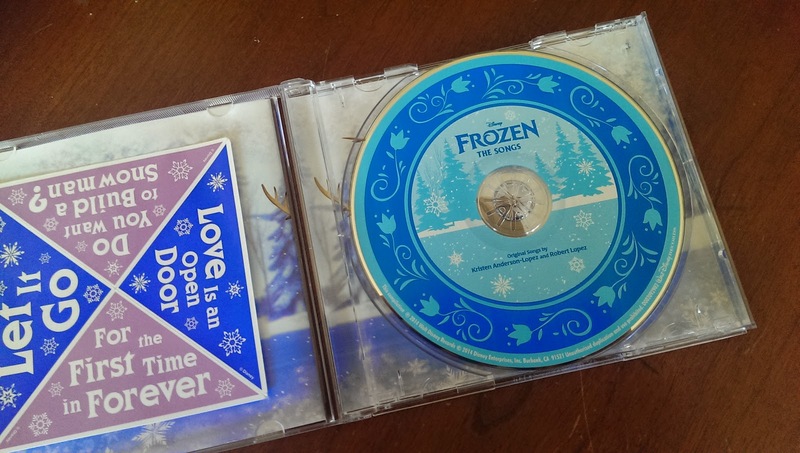 Leave a comment on this post and tell me your favorite Frozen song. Extra Entries For extra entries, you can do any or all of the following. Please leave a separate comment for each extra entry with a way to verify the entry (i.e. tweet link, blog post link, Facebook id, Twitter id, etc.). 4) Pin this giveaway on any of your Pinterest boards (1 entry -- you can use the "Pin It" button at the bottom of this page!). The Rules This giveaway ends at 11:59PM PST on October 3, 2014; I will draw 2 winners at random, on October 4 and post their name after they confirm acceptance. Continental US residents only. For additional giveaway rules, click here. Disclosure: I received a product sample to facilitate my review, but have not been paid to review the product or give my opinions. 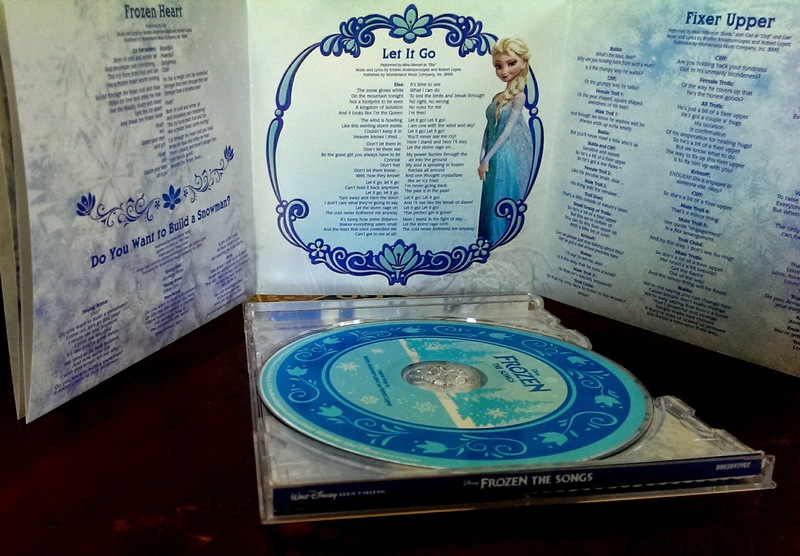 Sample and giveaway prize were provided by Walt Disney Music via ENMNetwork. The views and opinions expressed here are my own. Every single member of my family is a big yogurt eater. Yogurt is a staple in our home, and we eat it morning, noon, and night! Yes, even for dessert. 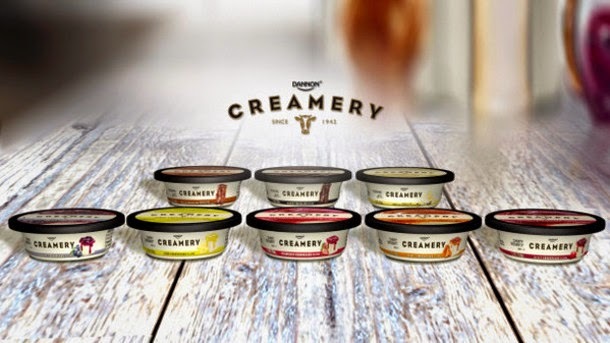 If the thought of yogurt for dessert seems difficult to swallow, check out Dannon's new line of dairy desserts, Dannon Creamery. This new line tastes super rich and super indulgent, like your favorite pudding or cheesecake, but each one is less than 250 calories (some are less than 200). Dannon sent us a sample of each flavor, and although we each have our favorites (3Po likes Cherry Cheesecake, Jammy likes Vanilla Pudding, The Pea likes Caramel Cheesecake, Alfie likes Dark Chocolate Pudding, I'm torn between Lemon Cheesecake and Milk Chocolate Pudding), every single one is delicious! These Cheesecake varieties are made with Greek yogurt (our favorite kind), and the Pudding varieties are made with milk, just like pudding. All of them are rich, thick and decadent, everything a dessert should be. I just don't know why they bothered with a resealable lid, because it's not like there's every going to be anything left over to put back in the fridge. 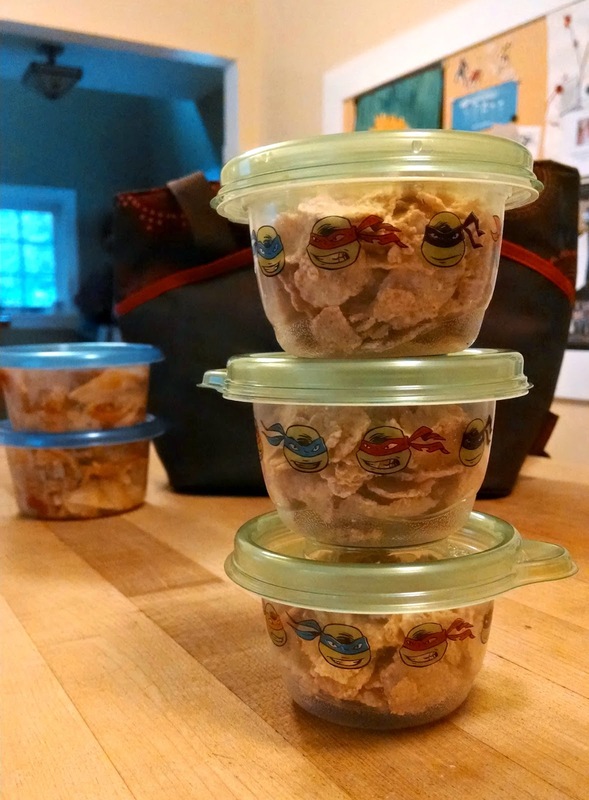 I pack lunch for my kids and husband every single weekday (okay, I do let them buy lunch on Pizza Fridays now and then, but the overwhelming majority of their school lunches come from home). 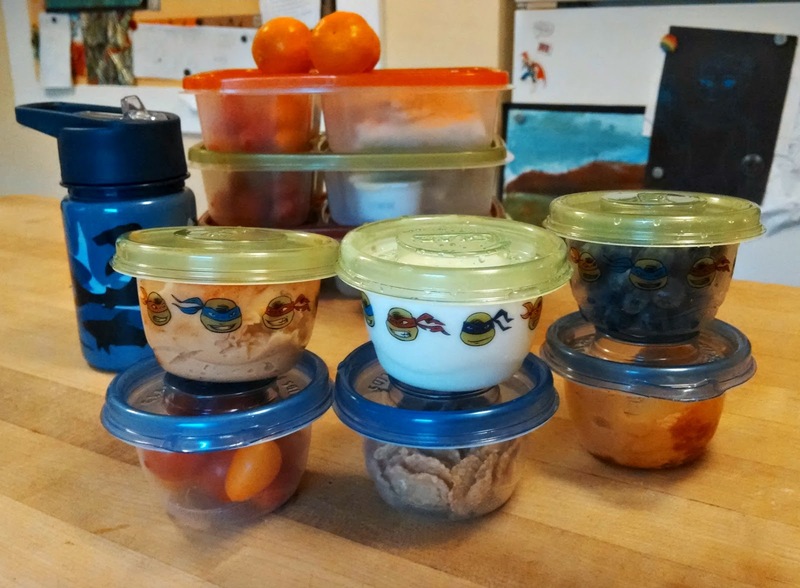 I try to minimize the amount of disposable packaging we use, so we have a ton of reusable food containers on hand, My favorite ones are the plastic Glad containers -- they are microwave safe, freezer safe, and dishwasher safe, and you can put just about any kind of food in them. 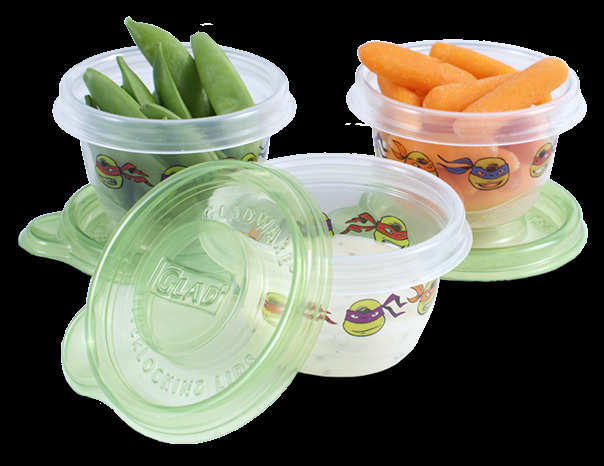 Best of all, they are so inexpensive, I don't go all crazy when my kids lose their lunch containers or accidentally throw one in the trash! I'm perfectly happy with the Glad's basic clear-and-blue containers, but I have to say, I'm loving the new colors and patterns on some of their newer product lines! Their latest one is a sure hit with kids, because it features the popular Teenage Mutant Ninja Turtles, the stars of this summer's blockbuster hit. 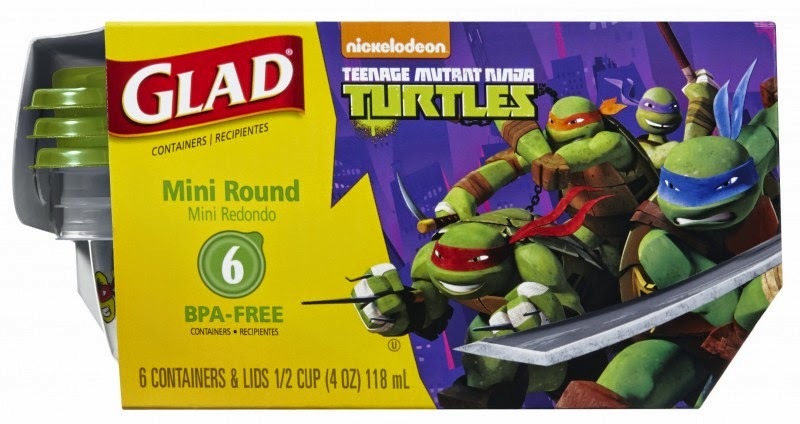 Just in time for back-to-school, Glad's Designer Series Mini Rounds has Leonardo, Michaelangelo, Rafael, and Donatello printed on the containers. These mini rounds can hold just the right portion size for a healthy snack. They're perfect for packing cereal, tomatoes, carrots, pepper strips, crackers, hummus, grapes, rasins, cranberries, blueberries, hummus, yogurt, salsa, salad dressing, and so many other things into your child's lunch box! I love that these containers are exactly the same size and shape as Glad's basic Mini-Rounds. You can stack the TMNT rounds along with the basic kind, and interchange lids, so you don't need a separate pile for each kind. 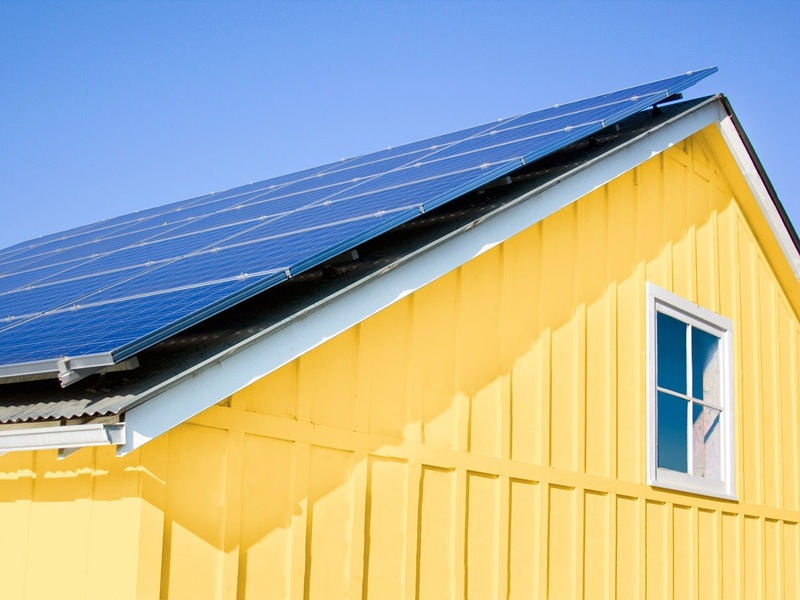 We've always been interested in solar energy for our home. 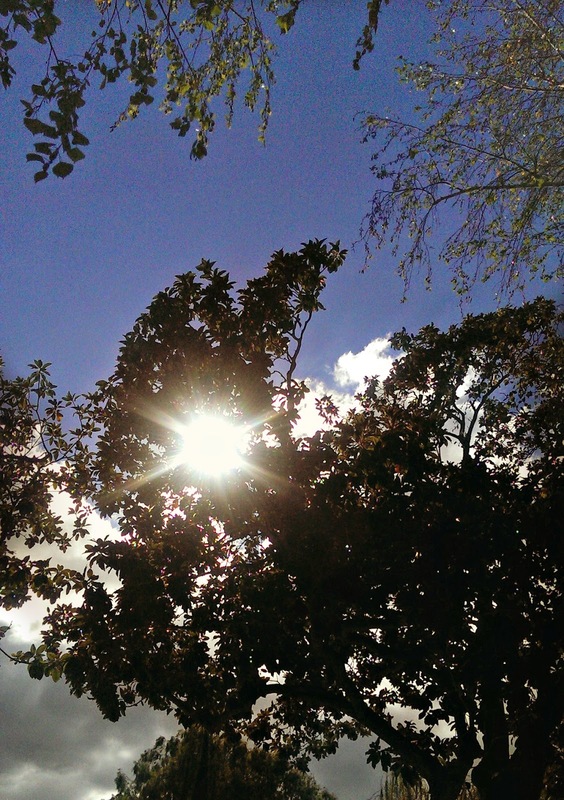 We live in California, the land of almost eternal sunshine, so how could it not make sense? Ten years ago we considered having solar panels installed when we had a second floor built onto our ranch house, but the cost at the time was a deal breaker. On top of all our other construction costs, it was just too much for us, so we regretfully put it on the shelf along with our other "homeowner projects we'd like to pursue". Ten years later, we found ourselves revisiting the subject. Alfie's car is almost 20 years old, and it's on its last legs. While researching possible replacements, we spoke with a friend who is leasing an electric vehicle. Our friend also has solar panels in their home, so their cost to run the car is just like the cost of their electricity bill -- next to nothing (at least, compared with ours!). Even though the cost of solar power has gone down dramatically, the cost to own solar panels is still significant (my friend said theirs cost about $25k, which is actually on the low side of typical purchase prices today, which can range between $18k and $40k). That's still a big OUCH in our budget. Misconception: "Solar is expensive and has a high upfront cost." Reality: With Sunrun solar leasing, homeowners can get solar on their roof for as little as $0 down and start saving on their monthly electricity costs immediately. Misconception: "Solar is complicated and out of reach." Reality: Solar service providers like Sunrun take care of all of the details of going solar, from designing the system, installing it on your roof, monitoring the system's production, and maintaining the system throughout the lifetime of the solar service agreement. Misconception: "Solar energy is more expensive than the electricity my utility provides." Reality: If Sunrun doesn't think they can save you money, they won't sell you a system. Misconception: "Purchasing your own solar panels is always better than getting a solar lease, because you get tax credits"
Reality: Some people do not pay enough in federal or state taxes to benefit from the federal investment tax credits resulting from purchasing your own solar power system. That's why it's so important to do your research or consult a tax professional in order to determine whether you could actually receive any potential tax benefits! We have a special offer for Bonggamom Finds readers. If you go solar with Sunrun before Nov. 30, you'll get a $500 VISA® Prepaid Card. (Conditions apply.) Get a free solar quote here. Disclosure: Information in italics was provided by Sunrun. I was selected for this opportunity as a member of Clever Girls Collective and the content and opinions expressed here are all my own. A couple of weeks ago I was fortunate to have the opportunity to interview soccer star Mia Hamm. We talked about her involvement with Fit Made Fun Day and her tips to get kids more active (soooo important at a time when a third of kids or teens in the US is overweight or obese!). 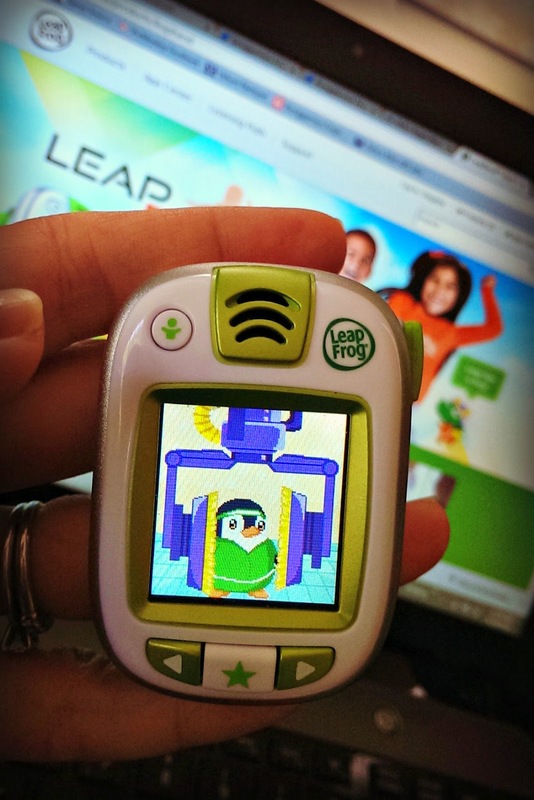 We spoke about LeapFrog's new activity tracker, the LeapBand, and how it is motivating kids to get up and about. I had the chance to test out the LeapBand, and boy is this gadget such an exciting development! If you have a Fitbit or a Jawbone or a Fuelband and your kid loves to play with it, you can now get him or her a LeapBand to track activity in a much more fun way! The LeapBand tracks your child's motion -- walking, running, skipping, dancing, any movement. 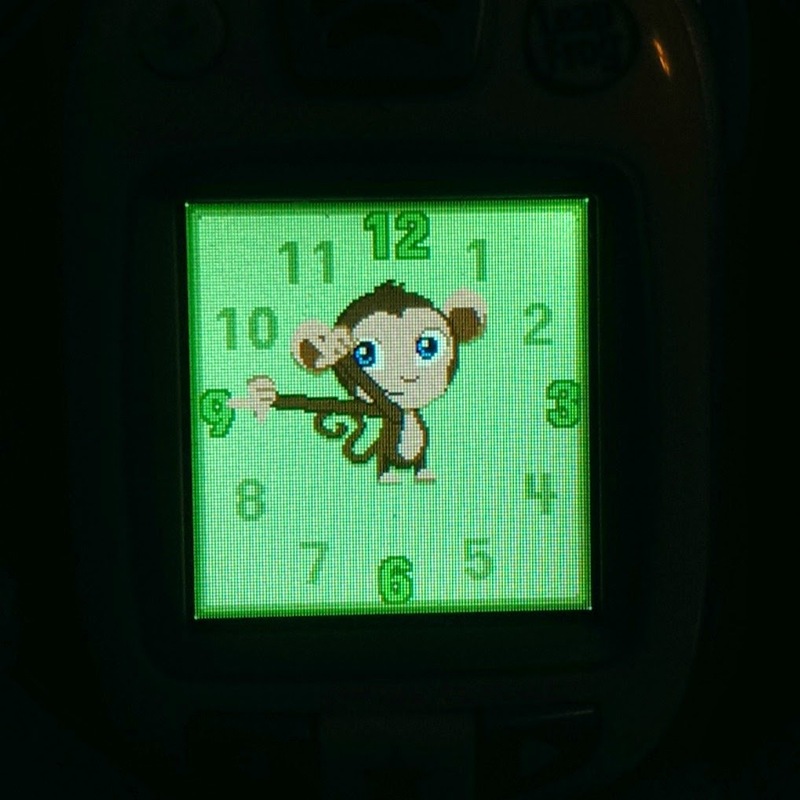 The main screen has an activity meter (visual, not numerical) to give kids an idea of how active they've been. The LeapBand also lets kids complete fun activity challenges ("Jump like a tiger and roar! ", "Hop like popping popcorn! ", "Wriggle your fingers and toes!") for the chance to earn jewels (a pun on "joules"!). 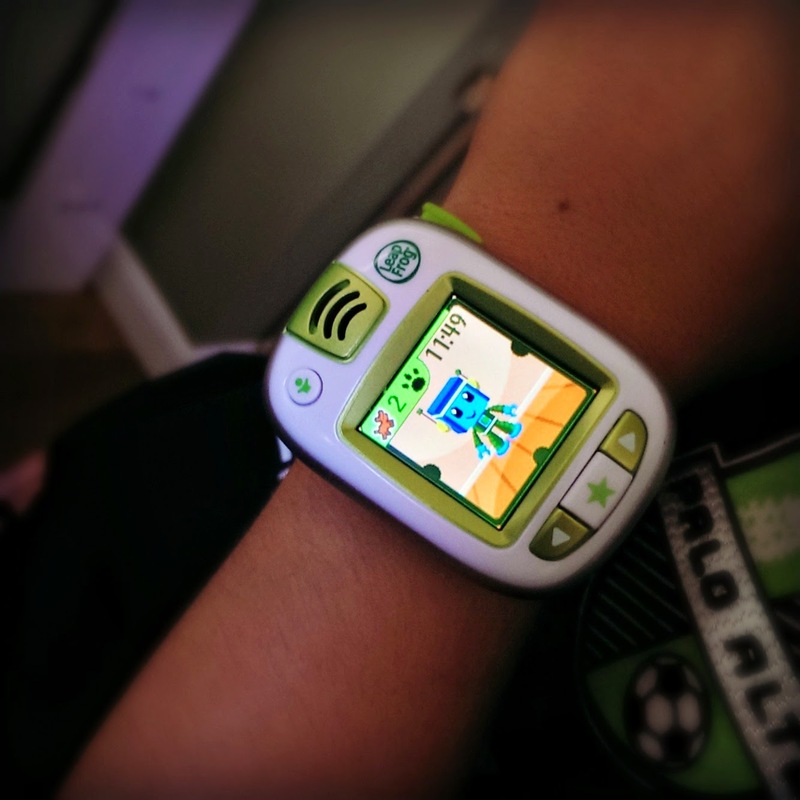 To motivate kids, the LeapBand has a virtual pet that kids can feed and bathe and take care of (remember the Tamagotchi craze?). When your child moves around and completes activity challenges, they earn treats for their virtual pet and unlock new games and new pets to play with. Kids can interact with their pets in 3 mini games (Pet Parlor, Pet Boogie, Pet Chef), where they learn the importance of good grooming, good nutrition, and healthy habits. There's also a separate app, Leapfrog's Petathlon Games (available on the LeapPad Ultra or an iOS or Android device), that lets kids' virtual pets compete in the Petathlon Games and play more mini games. Parents can download the LeapConnect app for the LeapBand onto their computers and connect the LeapBand to the computer via USB cable. They'll be able to view their child's activity, see the jewels they've earned, and download additional activity challenges (up to 50!) onto the LeapBand. 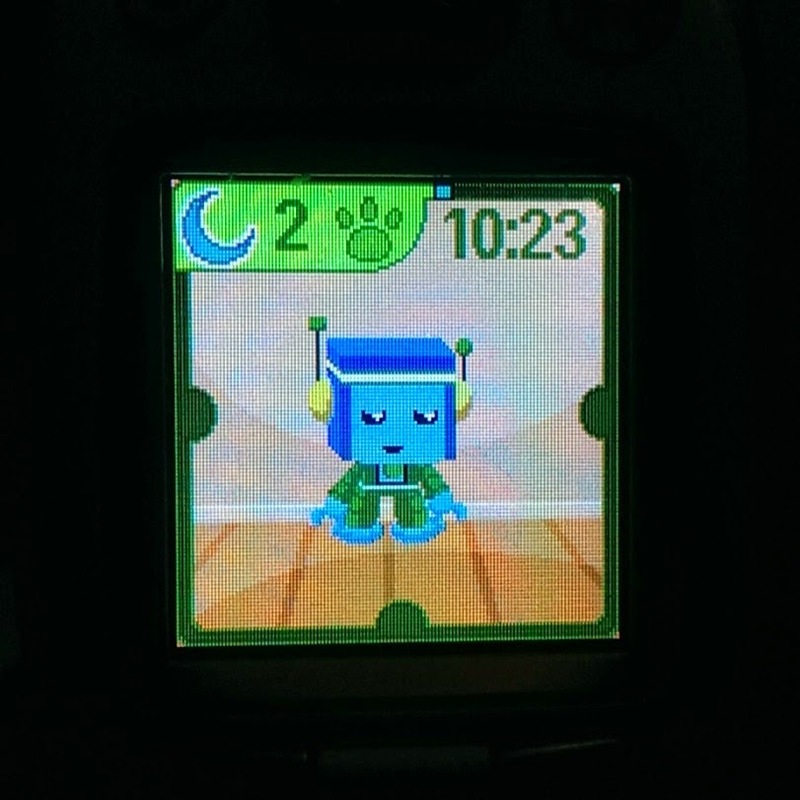 They can even set "quiet" times when kids cannot play with their virtual pet (i.e. school time or nap time). * The LeapBand is simple and easy to use, with just 4 buttons and audio instructions so even kids who don't yet know how to read will know what to do. * Parents can set quiet times for the LeapBand (via the Leapfrog Connect app), so even though it is still tracking motion, kids can't use it to play with their pet (they can only use it as a watch). So they can wear it to school or during naptime and not be tempted to play with it. * The LeapBand is rechargeable (via a USB cable); no more batteries to run out! * There is no volume control. * The plastic wristband is not very flexible; some kids might find it uncomfortable wearing for extended periods of time. * Unlocking pets can be frustrating. Kids have no idea how much longer they have to wait in order to unlock their next pet. 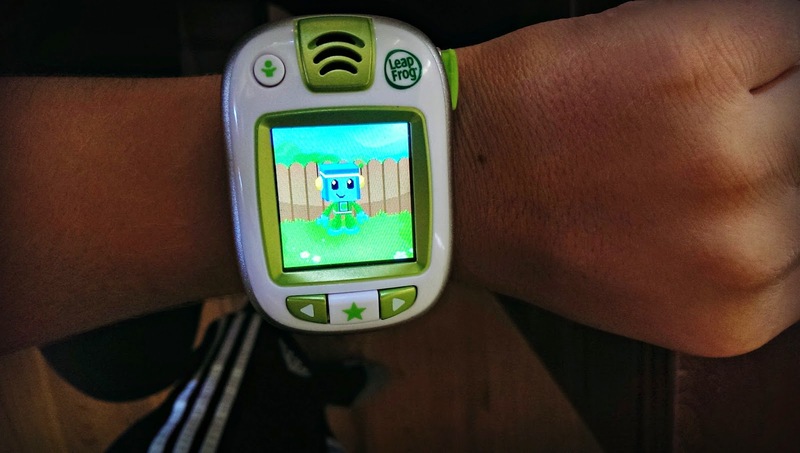 All in all, the LeapBand is another great product that masquerades as a video game, but in reality is developing all kinds of skills and healthy habits! Do the colors of my outfit look familiar? If you're a Frozen fan, they should! I'm chaneling Anna's winter dress and cape in this fall outfit. 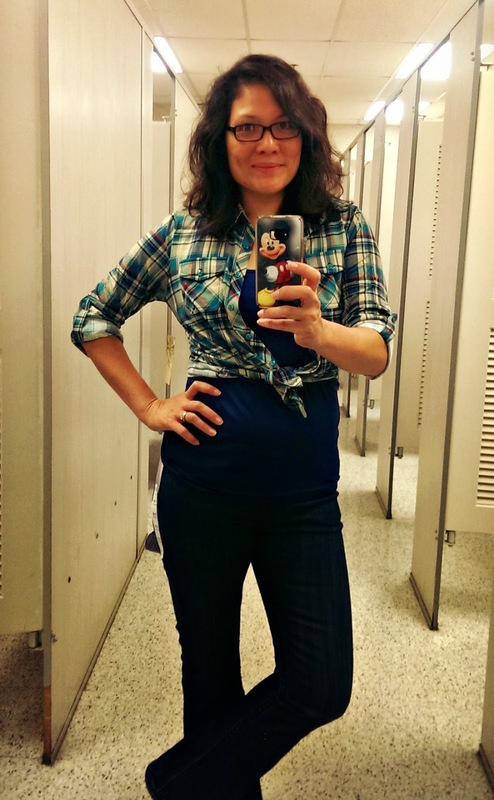 I've always wanted to try Disneybounding, and thanks to Ross I got to do it for just a tad over $25! 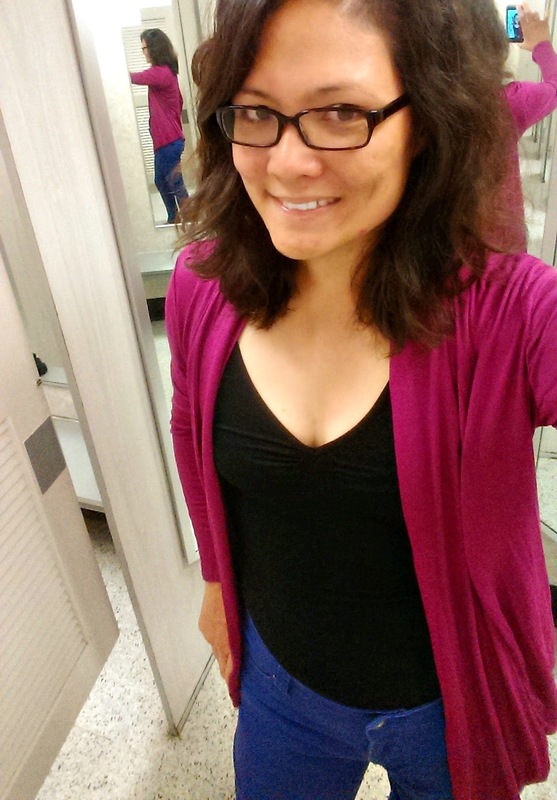 To be precise, I did it for $29 -- the bright blue colored jeans $10.99, the bright pink cardigan was $12.99, and the black tank top was $4.99 (but if you already have a tank top -- and who doesn't! -- you can totally do it for less than $25). My sons's school is having a hoedown next week, so my second outfit has a distinct Western feel (obviously I'm adding cowboy boots and a hat!). Again, the outfit costs $29 -- $10.99 for the bootcut jeans, $12.99 for the flannel shirt, and $4.99 for the tank top. So, what's your fall style? 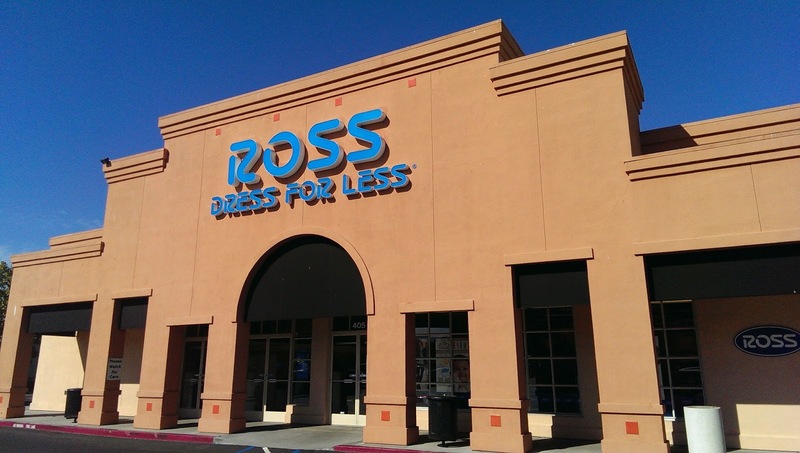 Ross Dress for Less has some great fall looks on their Facebook page, styled by bloggers from Economy of Style, Adore to Adorn, Ladies in Navy, Style Plus Curves, and La Catrina de Moda. They're sharing a different look every week, and you can even vote for your favorites for the chance to win a Ross gift card. 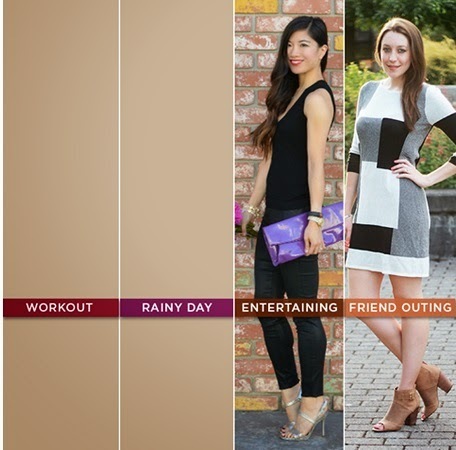 Which outfit will win for your "Rainy Day" and "Workout" style? You get to help pick the winner! Head over to the Ross Facebook page to vote -- but hurry, the promo ends September 26! Disclosure: I received a gift card from Ross. The views and opinions expressed here are my own. Update: this post now has a Snuggle prize pack giveaway! I came of age in the 80's, but when I look back at that decade, I cringe. Mullets, perms, acid wash, neon, high waisted pants.... cullottes?? Some things are best left in the past! To be fair, there were a few good things that came out of the 80's that endure to this day. Michael Jackson. Madonna. MTV. Rubik's Cube. And Snuggle Bear. Yes, Snuggle Bear was a child of the 80's too! He was "born" in the early 80's and quickly grew to become the symbol for everything soft and snuggly. 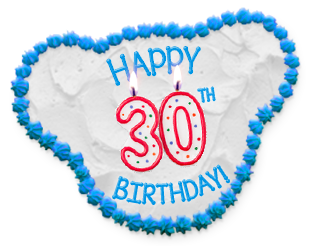 This month Snuggle Bear is celebrating his 30th birthday, and everyone is invited to the party! A donation to Make-A-Wish Connecticut as part of the birthday celebration will be made. Snuggle Bears will also be donated to Connecticut chapter for Wish Kids throughout the state. 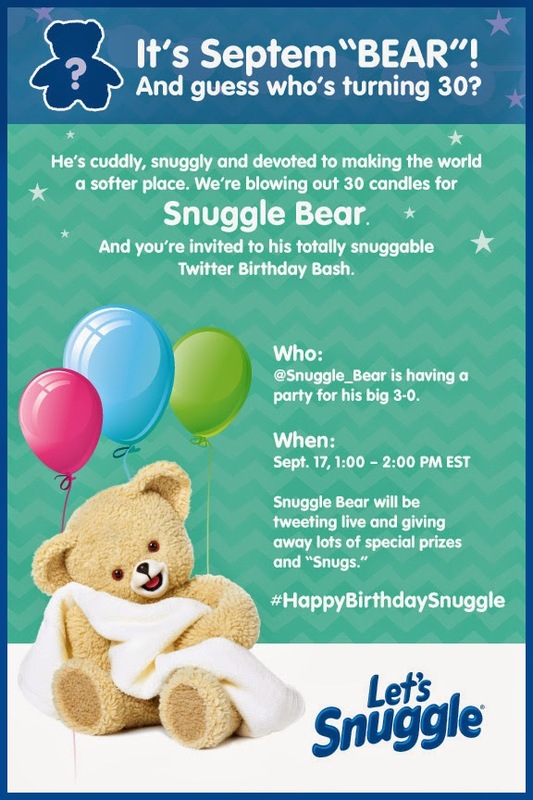 Wish Wednesdays: Snuggle Bear will ask fans how they would celebrate his birthday and make the world a softer place. This user generated content will be used for picture posts and a series of e-cards created by Snuggle Bear. Leave a comment on this post and tell me your child's (or your) favorite soft, snuggly item. 7) Join any open giveaway on Bonggamom Finds (1 entry for every giveaway you join). This giveaway ends at 11:59 PST on October 4, 2014. I will draw a winner at random on October 5 and post their name after they confirm acceptance. Continental US residents only. For additional giveaway rules, click here. Disclosure: I received product samples for review. The views and opinions expressed here are my own. Remember that post I did at the beginning of the month announcing K'NEX's latest Super Mario playsets? If you don't, go check out that post and see how awesome the Super Mario 3D World Cat playset is..... because I'm giving one away today! 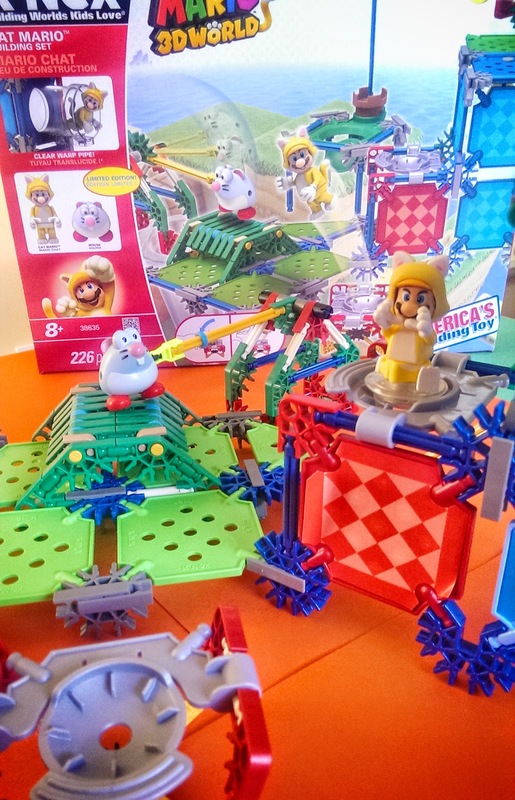 That's right, K'NEX is giving one lucky Bonggamom Finds reader a Super Mario 3D World Cat Mario playset for their very own. Your child gets to build a part of Mario's world and recreate Mario's adventures! This 226-piece playset features Mario in a cat costume, a mouse, and everything you need to build a great obstacle course for Mario to get through, including coins and K'NEX launchers to send Mario bouncing up in the air, just like he does in the video games. This playset is compatible with all other K'NEX playsets, so your child can expand Mario's world or make Mario part of the world of his imagination. Everyone in my family loves K'NEX, and you will too! Leave a comment on this post telling me your child's favorite Mario character. 9) Join any open giveaway on Bonggamom Finds (1 entry for every giveaway you join). This giveaway ends at 11:59 PST on October 1, 2014. I will draw a winner at random on October 2 and post their name after they confirm acceptance. Continental US residents only. For additional giveaway rules, click here. Disclosure: I received a sample from K'NEX for review. Thanks to K'NEX for providing the giveaway prize. The views and opinions expressed here are my own. Halloween can be really scary, so when you have little kids it's important to focus on the fun side of Halloween. Witches and black cats don't have to be scary! Last year I discovered a delightful children's Halloween book called "Room on the Broom", and the witch in this book is actually generous and kind. Just in time for Halloween, NCircle Entertainment would like to offer one lucky Bonggamom Finds reader a SPOOK-tacular chance to win the DVD "Room on the Broom," an enchanting animated program starring "the voice" of Gillian Anderson, along with several other tantalizing prizes. "Room on the Broom" is based on the book I mentioned earlier: "Room on the Broom", a top-selling, perennially popular book of the same title by Julia Donaldson. 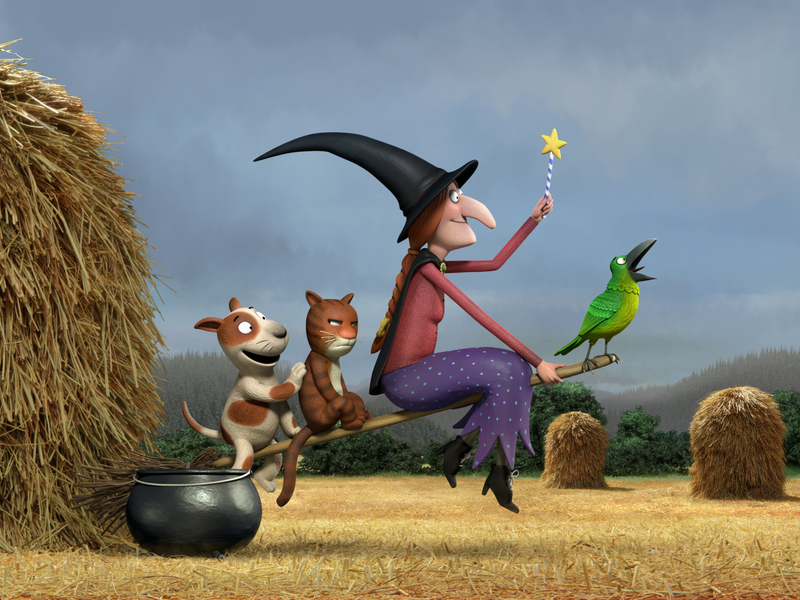 Produced by Magic Light Pictures (the team behind award-winning animations The Gruffalo and The Gruffalo’s Child) the half hour animation of Room on the Broom is a magical film about friendship and family based on the wonderful children’s picture book written by Julia Donaldson and illustrated by Axel Scheffler. Featuring an all-star cast of Gillian Anderson, Rob Brydon, Martin Clunes, Sally Hawkins, Simon Pegg, Timothy Spall and David Walliams, Room on the Broom is a delightful animated tale that the whole family can watch and enjoy together. Don't forget to check out all the other great childrens' DVDs offered by NCircle on their website (www.NCircleEntertainment.com) and at their local retailers! 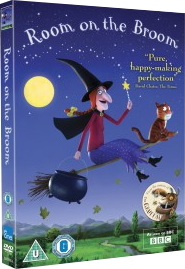 One lucky Bonggamom Finds reader will receive a copy of the "Room on the Broom” DVD. Leave a comment on this post telling me what you and/or your kids will be dressing up as this Halloween! 8) Join any open giveaway on Bonggamom Finds (1 entry for every giveaway you join). Disclosure: I did not receive a sample or monetary compensation for this post. Prize provided by NCircle Entertainment. The views and opinions expressed here are my own. My kids have led active lives all their lives. The Pea started ballet at age 3, and 10 years later, she's on a competitive dance team, taking multiple dance classes 4 days out of 7. 3Po and Jammy are crazy about soccer; they practice 3 days a week and spend their weekends playing league games and tournaments. They walk and bike to school. We walk downtown on the weekends and take them sailing or hiking now and then. It's so tempting to feel superior and wonder why other kids don't get as much activity -- but different families lead different lifestyles, and getting physical activity can be difficult. I should know: my childhood was nothing like my kids'. I led a very sedentary lifestyle as a child. I was driven everywhere, and although my parents put me in ballet and gymnastics classes, I never really liked them, so I never put in more than a bare minimum effort. It wasn't until my early teens that I fell in love with volleyball and jazz dance, and in my early twenties that I started running. So I know how challenging it can be to get into the habit of being active. For school aged kids, Mia stressed the importance of letting kids follow the sport that they love, letting them enjoy the social aspect of sports, letting them pursue multiple sports (if they want) so they don't burn out, and being a parent ("a soft place to land"), not a coach. As for kids who don't like sports, even they can still get active! Mia stressed that getting up and getting active doesn't have to be complicated. Games and relay races keep kids active, but to them, it's not really a physical activity, it's just fun. That's where the LeapBand comes in: it's a great way to make fitness fun by turning it into a game. 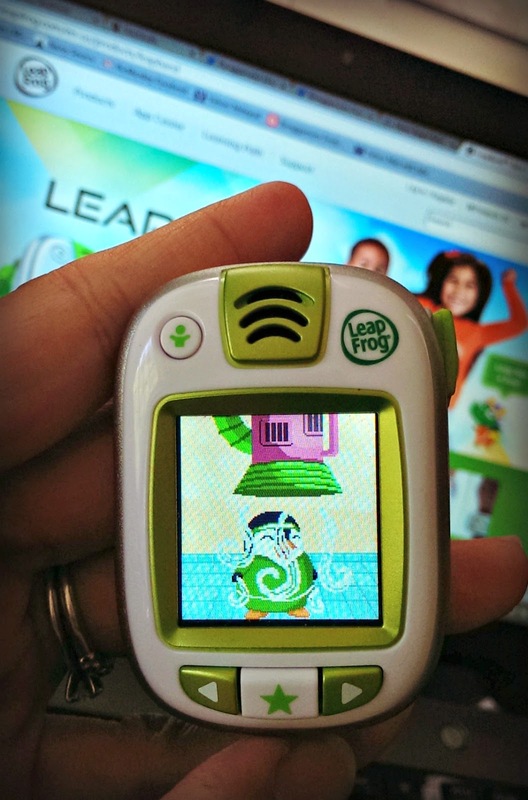 Leapfrog is giving away a LeapBand to TWO lucky Bonggamom Finds readers! Leave a comment on this post and share a tip for building active habits in your children. 7) Join any open giveaway on Bonggamom Finds (1 entry for every giveaway you join) The Rules This giveaway ends at 11:59PM PST on August 24, 2014; I will draw 2 winners at random, on August 25 and post their name after they confirm acceptance. Continental US residents only. For additional giveaway rules, click here. Disclosure: Leapfrog provided the interview opportunity, a LeapBand sample for review, and two LeapBands to give away. The views and opinions expressed here are my own. Tweet this!